A bad year to say the least!! Ok, invasion is maybe a bit strong, but my body was being invaded! 2018 was pretty much a write off for me. It all went south in January, when all set to go to Virginia for the World Champs, I suddenly got ‘struck down’ by a really bad bug. Not the man-flu kind – the kind that ACTUALLY leaves you bed-ridden and unable to move for a few days – then takes weeks to get strength back again. But, by March, in time for the Online Indoor Sprints, I was getting strength back again. That’s when I had my first meeting with a sharp knife. Slicing through the middle knuckle on my left hand, right through the tendon, and into the joint capsule. (yuk). Needless to say, that was a bit of a setback. 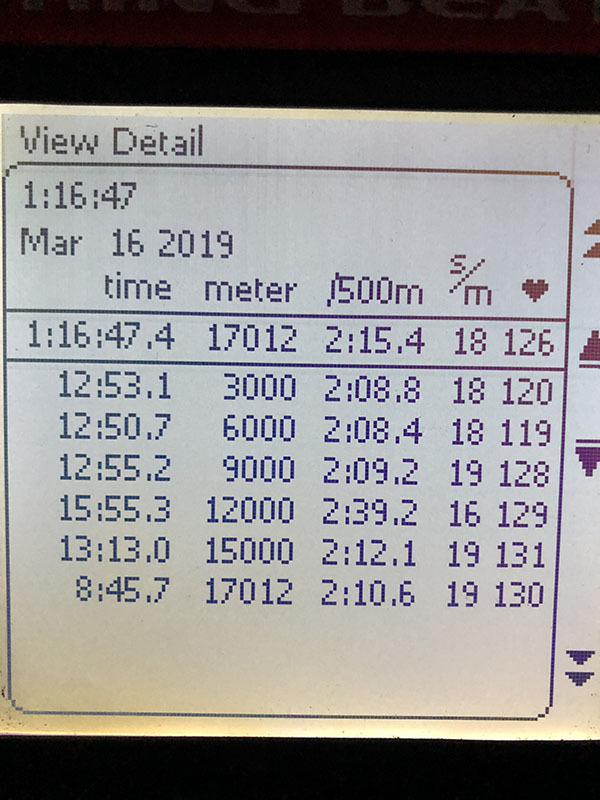 Sure, after two weeks of being in a plaster cast, I was able to jump on the indoor bike and do some kind of exercise, but it was around 6 weeks before I could go anywhere near the Concept 2. And slowly at that. As I’d sliced through the tendon, I was in a fair bit of pain (and paranoia about it snapping!) each time I climbed on. So I started 100m at a time, slowly. 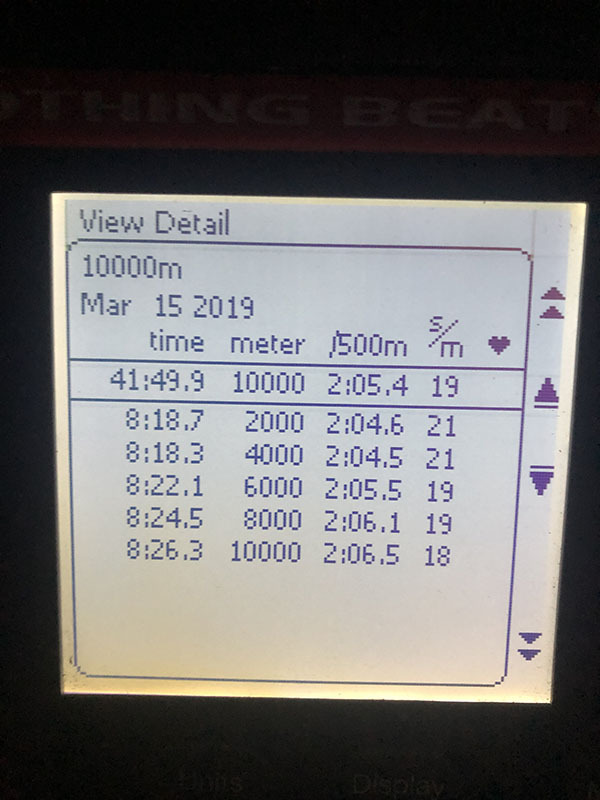 Building up trying to get faster then longer, then faster, the longer. By July, I was able to do some kind of distance stuff again. Maybe not at full power, but at around 90% of it. 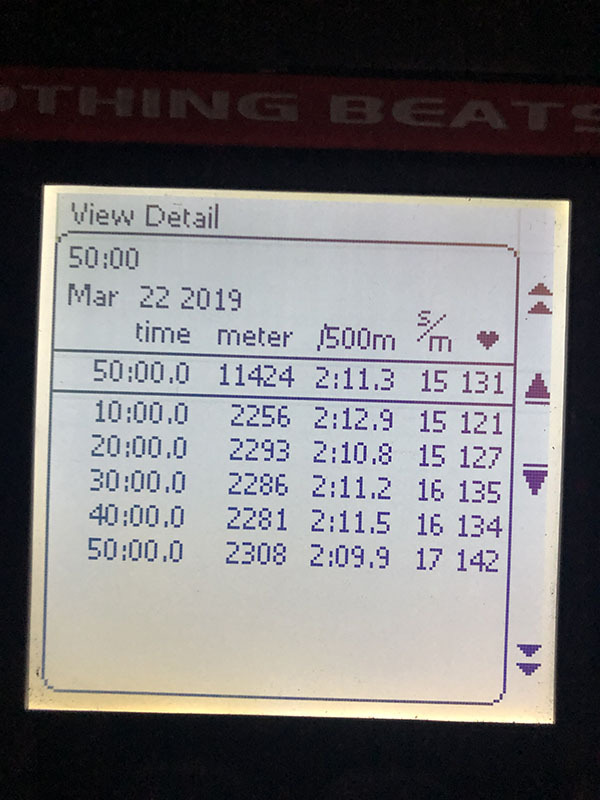 So I backed off a bit and hit the training plan hard to try to get some speed back. I now realise, too hard. I picked up another cold around September time, but was still nowhere near hitting my goals anyway. Not even the low end goals that I had set. At the beginning of October, we had a nice holiday in Tenerife. 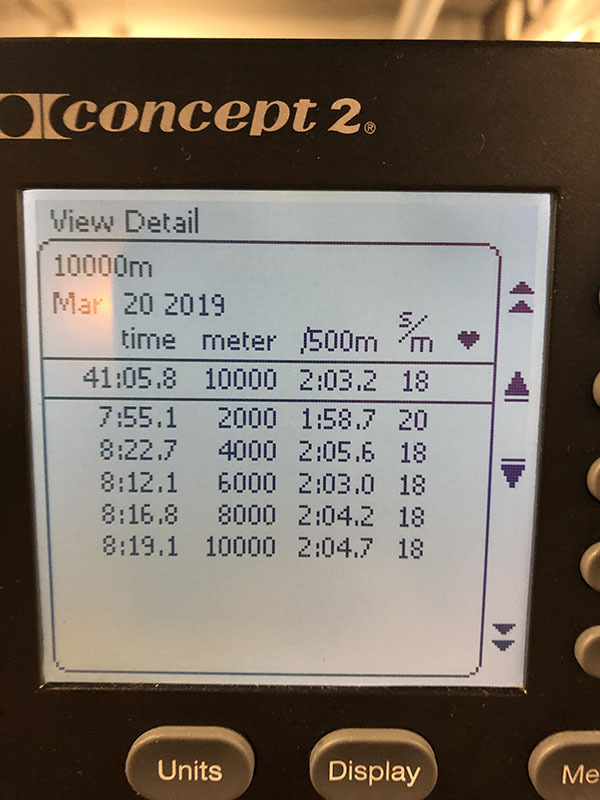 There was a gym with an erg nearby, which I managed to use once for the CTC, but that was it. 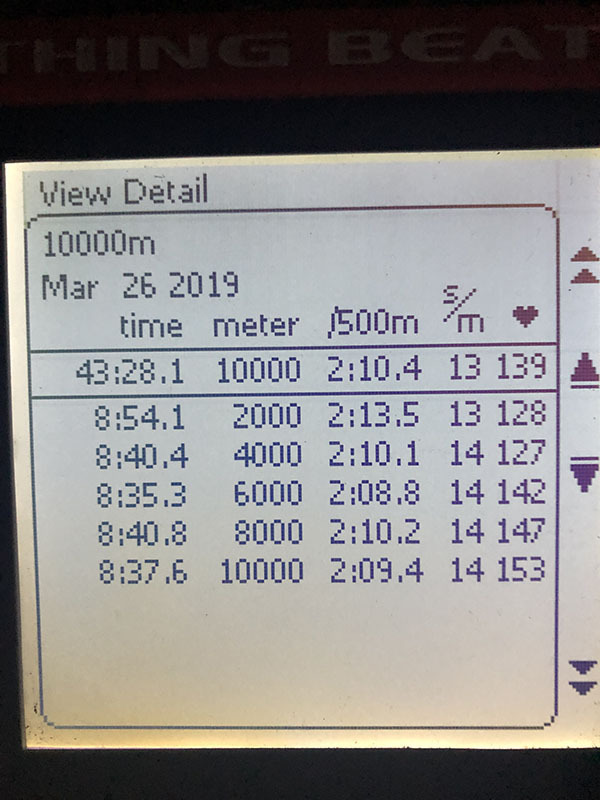 Figuring that a week off would have done great good for me, I got back onto the machine and tried to pick up where I left off. Within three pulls, I felt something ‘twang’ in my left forearm. Something which 5 months later, was diagnosed as tennis elbow. 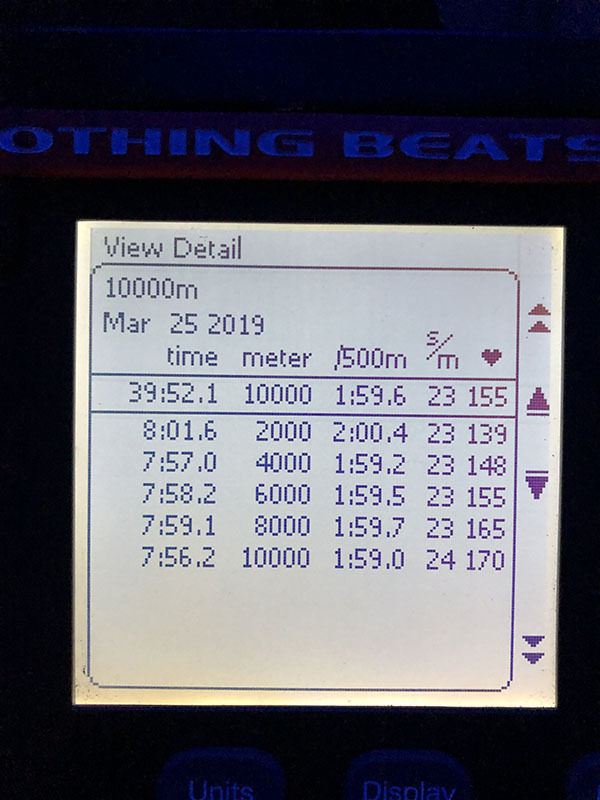 But the associated swelling through my forearm muscles, and damage to my bicep meant I was in a fair bit of pain each time I rowed. But I persevered, thinking that it would just go away if I kept training, albeit a little lighter. That was both stupid, and not conducive to performing at all well at the Scottish Indoor Champs. I’d spent the previous three months before the SIRC doing an intensive Mindset course to try to get my head back in the game. I think if it wasn’t for that, I would probably have put the handle down mid-race at the Scottish Champs. I realise now of course that it was over-training syndrome, combined with setting goals that my body wasn’t able to acheive, and then the subsequent frustration that set in because of that. Anyway, bronze in both races – in a time I used to do as a ‘soft 1K and 500m’. So, what do I do to really stick the nail in the coffin for my year? Well, realising that there was no point considering the Welsh, British, English or even World Champs – I thought, “This is the right time for a vasectomy”. I’ll spare you the gory details of that one, but I had the op at the end of November, two days after the Scottish Champs – and wasn’t really mobile again until the end of December. But, I figured 5 weeks away from the demands of rowing would at least have given my arm time to heal. Off to the physio for a few sessions. Great guy, he was the one who diagnosed it as tennis elbow – but after a few massage sessions and ultrasound, no change. 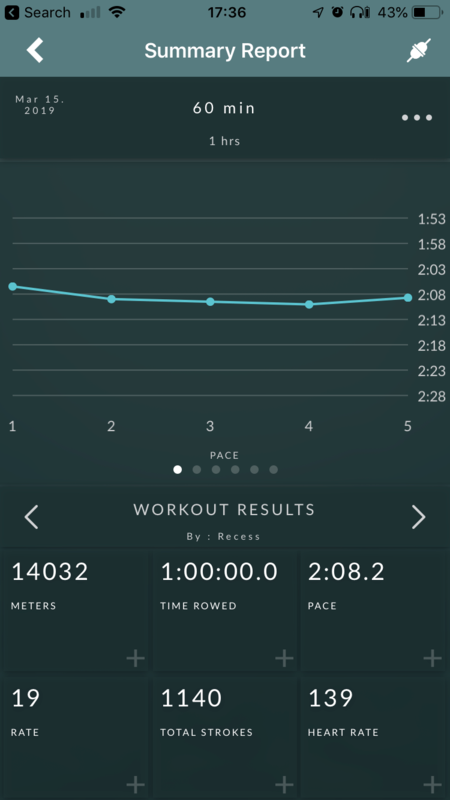 I was able to row a bit more, but I still had the tendon flare up – and my forearms and bicep would hurt afterwards. Stuck, I had no idea what to do. I could row lightly, with pain – but couldn’t do anything more. Nothing to help develop the muscles to get stronger. Ever weight I lifted, I would end up aching and flaring up in pain afterwards. Then, a guy I met years ago posted something on his “Move Well Project” facebook page saying “Do you have tendonitis, and the physio has been treating with massage and ultrasound with no change?” Come to me for a different way to treat it. And that was it. He’s in Stoke, I’m in Glasgow, but a Skype call with me following his stretching comments and pointing to where it hurt, and Chris pointed out it was my dodgy shoulder which was the root of the problem – so we’d need to fix that as well as treat the resulting pains from tennis elbow, forearm and bicep. With a list of stretching exercises and some ‘weights under tension’ moves pinned to the wall, I now go through these each night – which I will do for at least 12 weeks. What will keep me going for 12 weeks? 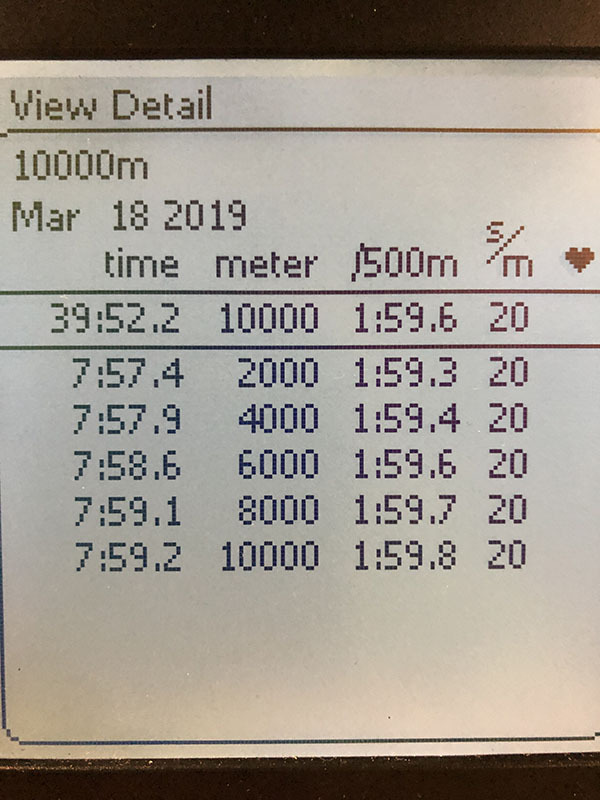 That within 10 days of doing these exercises, I was able to row without pain in my arm. Sure, I can tell it’s still not right – I’m still not able to do any supplemental exercises, but each day is feels better – and each day that happens is another reason to keep going with it, as hopefully soon I’ll be able to lift something more than a 5Kg weight plate without pain!! So alongside all of this stretching and tensioning, I’m just sitting down and doing LOOOOONNNNGGGG rows. Either 10K, 60 mins or a Half Marathon depending on how I feel that day. 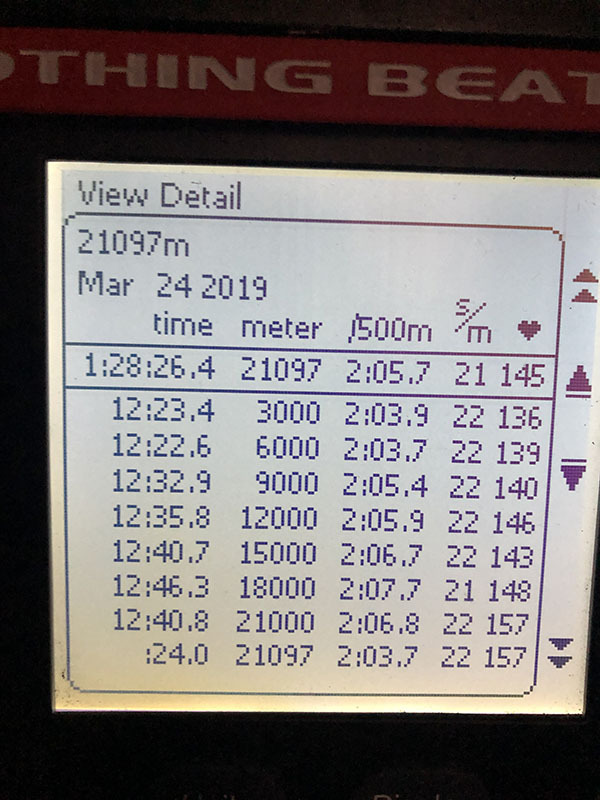 Sometimes I take it really easy – a 14spm session at 2:15 – sometimes pushing a bit harder, 22spm at a faster pace. Never pushing too hard, never getting the Heart Rate too high for too long – but always trying to improve. 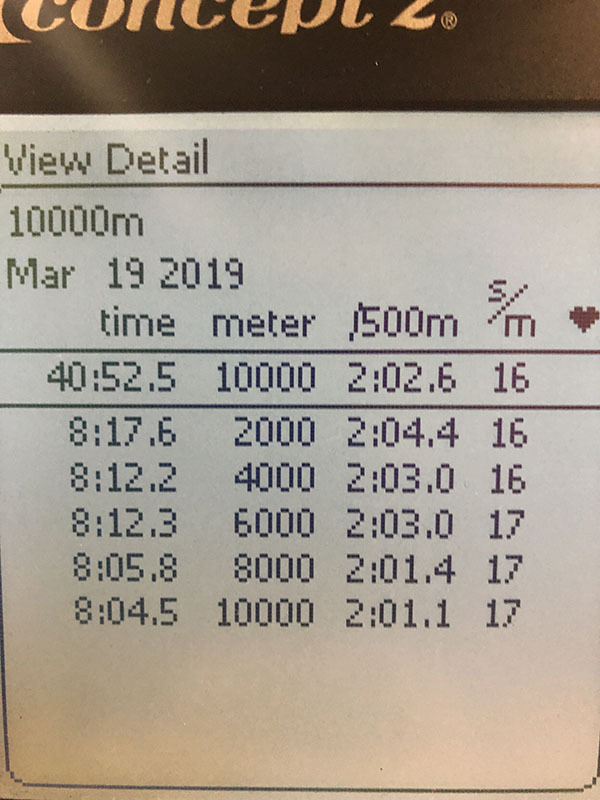 And if you compare the first 10Ks I was doing with ones just a couple of weeks later, it’s easy to see how effective all of this is. Sure, I have to keep my powder dry and not push too hard and go back to square one – but at least I’m on the machine for a good duration of time, without any pain! !